with the concept "Swift and Safe". 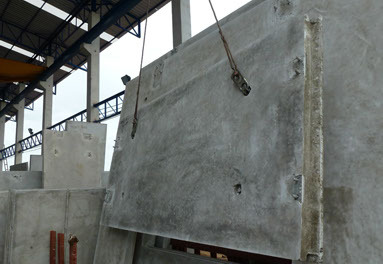 The system comprises of Lifting Anchor, Rubber Recess Former, and Lifting Head Link. Lifting Anchors are manufactured from high tensile steel with expanded foot for better load transfer from concrete. 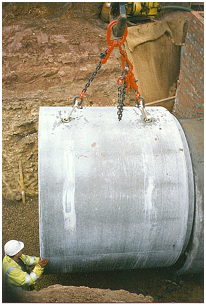 It has spherical head for ease of lifting pre-cast concrete units with various shapes, e.g. 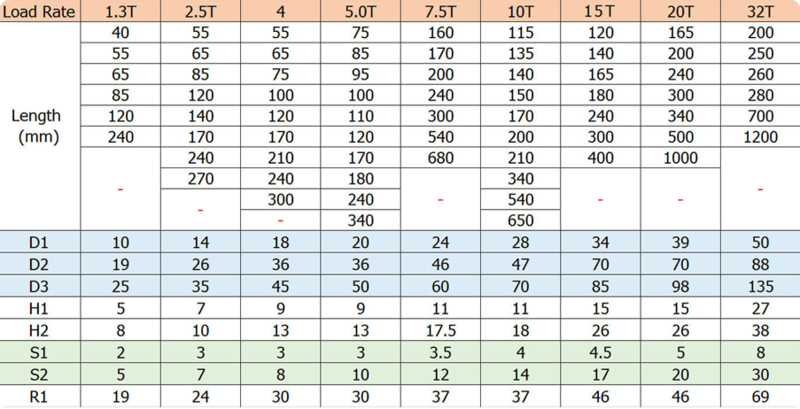 slab, beam, wall, staircase, pipe, etc. 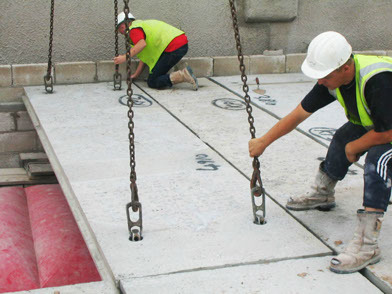 Lifting Anchors are cast in pre-cast concrete units by the use of Rubber Recess Formers which form spherical recesses below the anchors on which the Lifting Head Link are put and lift easily, swiftly and safely. 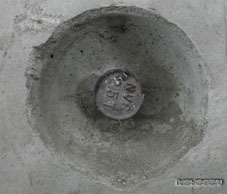 Rubber Recess Formers form spherical recesses below the lifting anchors. They are manufactures from synthetic rubber, hence constant in shape even when heated up to 120 C or in contact with oil. The Rubber Recess Former can be used several times. The Rubber Recess Former is widely opened to allow lifting anchor be inserted into it. It is then fixed firmly in position to the form-work by means of a butterfly nut or screw. 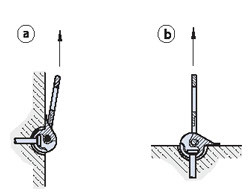 In case that the lifting anchor is to be cast in the fresh concrete (e.g. in slab element) a wedge of concrete is removed, and then the Recess Former completing with an anchor, is placed in the resulting hole. It is pushed into the concrete in a way that the upper surface of the former is flush with the surface of the concrete. Care should be taken to ensure that a plate is in the Recess Former. Lifting anchor must be installed perpendicularly to the form-work. The use of form-work releasing agent eases the removal and extends life-span of the Recess Former. Two holes on the outside of the Recess Former enable two pieces of rebar be inserted in, crossed, widely opened Recess Former and finally removed from the concrete. Excess concrete should be removed. 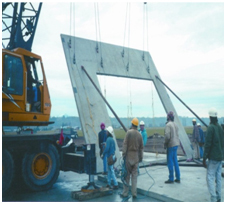 Head Link is simply used for the lifting and transportation of pre-cast concrete units. 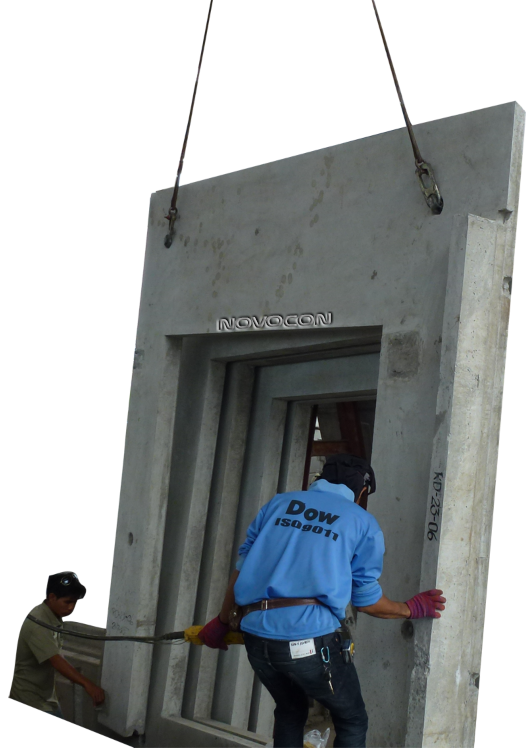 It is manufactured for load range of 1.3 tons – 32 tons. After stripping the form-work, the recess former is removed, leaving the anchor sitting in spherical recess, into which the Head Link fits in second. 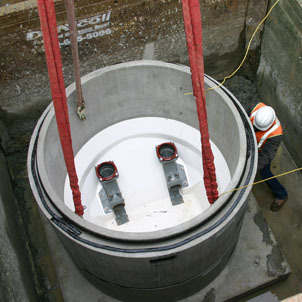 The pre-cast unit can then be lifted and transported safely. Concrete pipes and pre-cast units must be handling properly due to their weights and shapes. The handling requires lots of devices and skills that help minimize risk of accident. Therefore, NOVOCON offers lifting and handling systems to pre-cast concrete industry which consisting of various kinds of anchors for concrete pipes, pre-cast concrete units and lifting shackles. This combination ensures a fast, rational, economical, safety and flow of works in all stages. The sphere is pushed with its opening facing downwards over the anchor. The latch of the sphere is then turned downwards. The pre-cast unit can be lifted easily by a Head link in all directions. To release, the load hook is lowered and the sphere turned up and out.